I've done many Mexican entrees but not the main side dish that goes with it all -- until now. My Mom's Mexican Rice is flavored with tomato sauce or tomato paste. This gives the rice its nice color and mild citrus taste. And lightly browning the rice brings out a slight nutty flavor. Sauteing garlic and onion completes this South of the Border recipe. And my Mom doesn't stop there, she adds chopped green bell pepper. 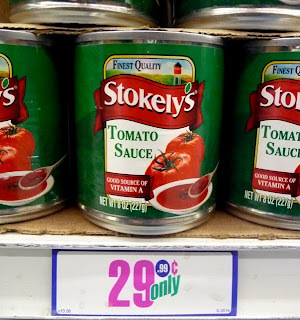 Plus, this is one cheap side dish. One pound packages of rice are always around a dollar, and a small 8 ounce can of tomato sauce is often under 50 cents. I usually have half of an onion and a jar of chopped garlic in the fridge. Just click on the following entrees to see a full recipe of what pairs perfectly with my Mom's Mexican Rice side: Fish Veracruz, Cactus Quesadilla, Roasted Chicken with Black Beans and Yams, Charro Beans, Texas Dry Rub BBQ, Pollo en Mente (Mint Chicken), Stuffed Poblano Chiles, Salmon Enchiladas, Mexi/Turkey Burger, Pork Roasted With Green Chiles, Carne Asada (steak) Taco Carnitas (pork) Taco, and a hearty Breakfast Burrito. 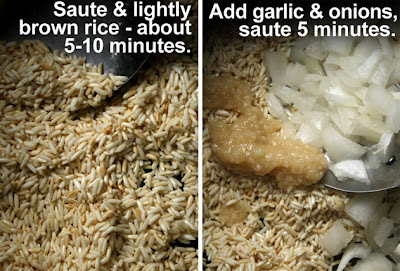 1 cup of rice - usually white, but brown is okay (follow package cooking directions). 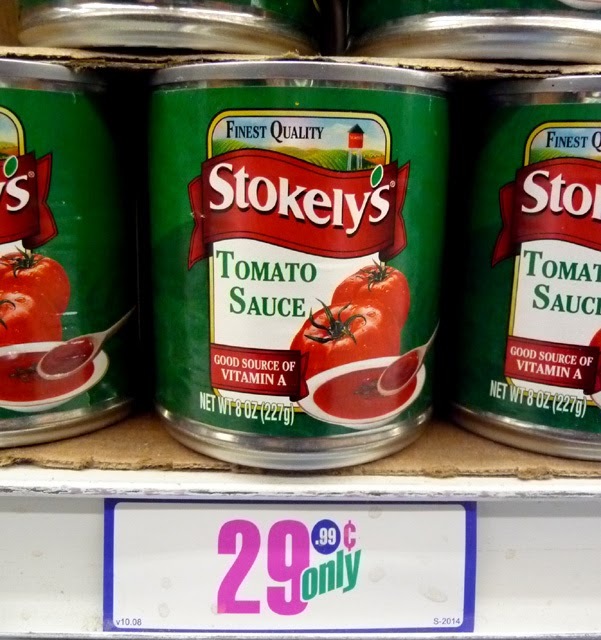 4 ounces tomato sauce - 1/2 cup, or a tablespoon of tomato paste. 2 cups of water - substitute a cup of chicken or vegetable broth for extra flavor. 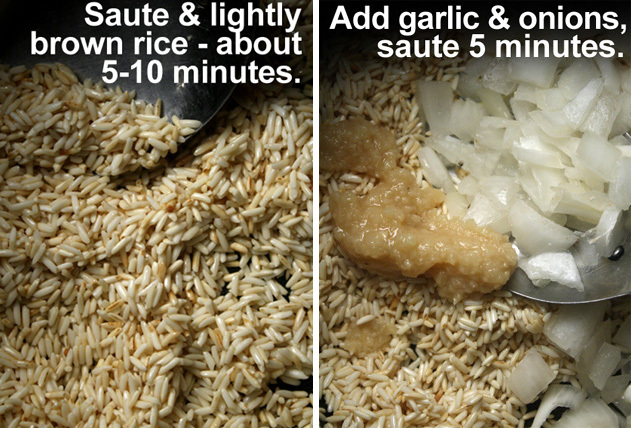 1 tablespoon of garlic - fresh chopped, or from jar. Heat oil, then add rice. Stir to coat grains and saute until they start to turn brown - about 10 minutes. Add chopped onion, garlic, salt and pepper. Stir and saute a couple of minutes. 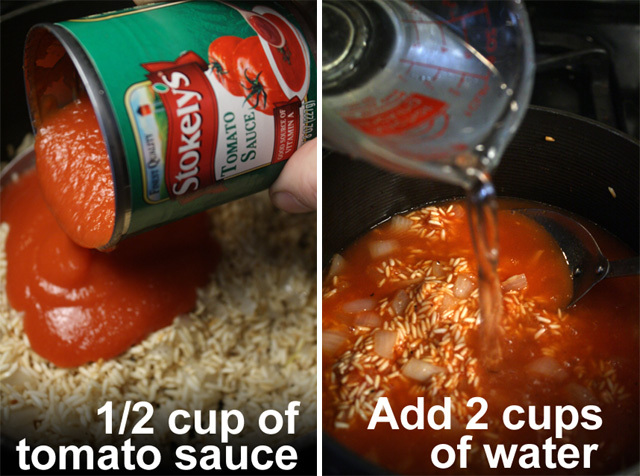 Pour in 1/2 cup of tomato sauce and two cups of water (or cup of broth and water). Bring to a boil, reduce heat to low and cover. Cook rice according to directions (about 20 minutes). Turn off heat and let set another five minutes. Serve with a favorite entree. This recipe is enough for 4-6 servings. 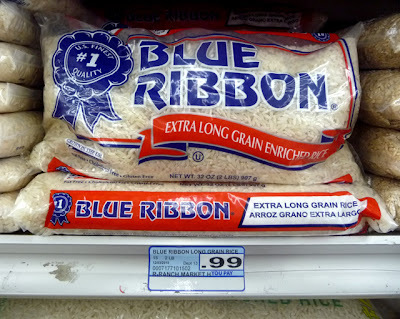 Rice freezes fine, just microwave until hot. Since moving to California eight years ago, I've enjoyed learning how to cook (and eat!) several typically Hispanic dishes. Thanks for the Mexican Rice recipe...I think it will go really nicely with my version of Shrimp Diablo and many other entrees I fix on a regular basis. Keep up the good work! 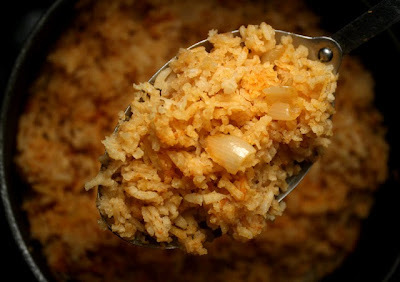 an easier way to make Mexican rice is to mix 3 tablespoons of enchilada sauce into cooked rice. I discovered this when I made chicken enchiladas a few nights ago and had some leftover sauce. All my ingredients were from 99 Cent only except for the chicken leftover from a 79 cent per pound chicken I had roasted two nights before, then made chicken noodle soup from with some of the leftovers, and the enchiladas from the rest -- three meals from one chicken for the two of us. hi Cindy, by all means leave your recipes here so all can enjoy. I like the enchilada rice. Made this Mexican Recipe yesterday with enchiladas. The rice was a great side dish. Thanks for the recipe! I dumped in a small can of green chiles into my rice along with the onion and garlic. YUM :-) going to try some crock pot carnitas for tacos tonight.